South London Heating: Proud winner of the Which? 'Trusted Trader of the Year' 2015 award! 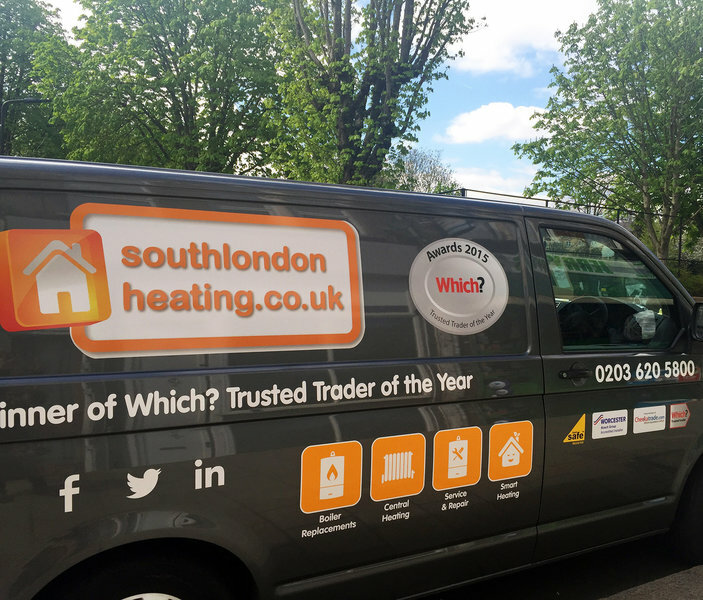 We're your local heating specialist, an award-winning company delivering top, quality work to South London. We're a name you can trust! We cover all aspects of heating services, from full heating system upgrades and boiler replacements, to new boiler installations. We are Gas Safe registered, and Worcester-Bosch Accredited installers. 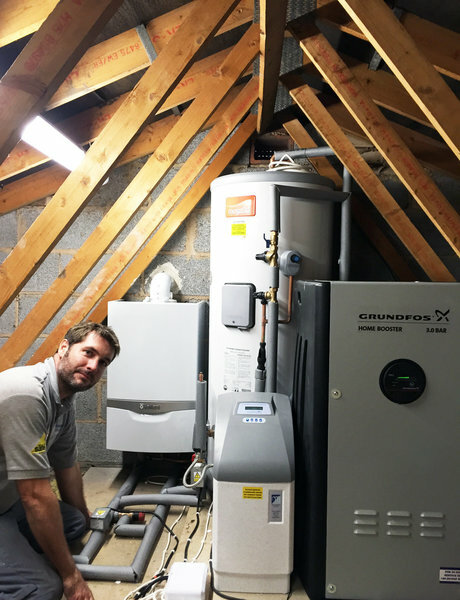 We specialise in Energy Efficiency heating installations with high efficiency condensing boilers and on all relevant energy efficiency system set ups. We specialise in boiler replacements & new boiler installations with extended 10yr guarantee on Worcester-Bosch models. 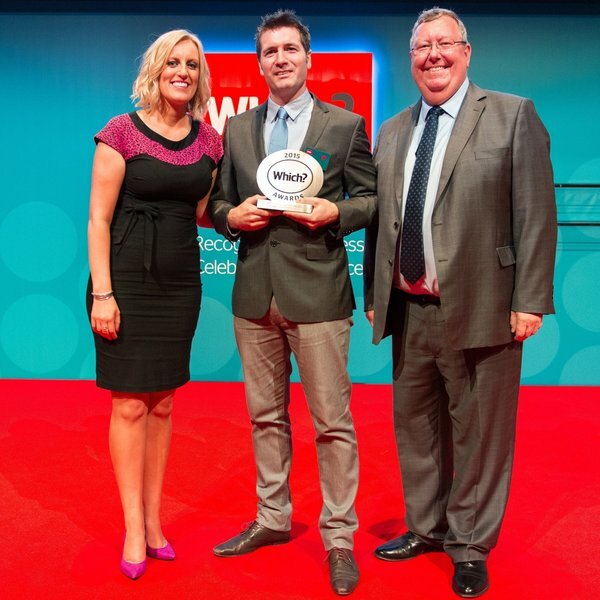 We are experts in gas heating appliances, boiler services, repairs and Gas Safe Certificates. We're offering great-value top quality work and excellent service to South London. This was the first service for a boiler installed 12 months ago. The booking process was simple and was able to book a service the same week as I called. Engineer came on time and did the work quickly. Invoicing procedure simple and quick. South London Heating were able to replace our old boiler at short notice and made the whole process was very smooth from start to finish. Mark and his customer service team were efficient and helpful when it came to explaining what needed to be done. John and Paul who installed the new boiler worked very hard over the two day job which was not a simple job. We would certainly recommend South London Heating. The service was booked easily and the engineer arrived right on time. Talked me through basic maintenance advice clearly. Honest review of next steps in heating system upkeep and advised on when TRV should be replaced. Friendly and clear - will call again when needed. South London Heating were responsive when I first asked for a quote for the work I needed carried out, and Mark was very helpful in making suggestions for what was not a straight forward job of disconnecting my heating from the current boiler (in another flat) and installing a new boiler in my own flat. The team who carried out the work were professional and kept me up to date with progress, and dealt with the neighbours well. The work was completed with minimal disruption and mess, and they even brought in an extra person to get the job completed a day earlier than expected. Am really pleased with the boiler, and the whole team have been very helpful including with follow up questions. Would recommend. Mark sent an engineer out to us, free of charge, on a Saturday morning within 30 mins of me calling him in desperation. British Gas had cut a pipe after suspecting a minor leak - and the boiler manufacturer was unable to repair the leak without the pipe being reconnected (something the manufacturer is not able to do). Fortunately Mark sent out his engineer Mark, and they reconnected the pipe, all free of charge. Excellent customer service! This is a highly to be recommended company in every possible respect. This visit was for my annual boiler service. However, I have used them for a very complicated and difficult emergency in the past An exceptionally trusted and successful firm in my experience and I would have great confidence in reommending them to my friends. Paul & Ronnie did fabulous job replacing my combi boiler, new worcester bosch for old potterton. Paul and Ronnie did a really fabulous job. And the quotation visit and process was also extremely straightforward and very well-handled by Mark and Kerrie. Boiler was fitted 3 months ago, and it has been working great since then, through the autumn and into the winter. Arrived on time for both the initial survey and subsequent work. Boiler and five radiators replaced quickly and efficiently. Would certainly recommend and will continue to use them for the annual boiler service. Thank you so much for your kind words, we’re really grateful your feedback. It’s wonderful to hear that we were able to supply you with the excellent service that our company strives to provide! Kind Regards South London Heating Team! Excellent and friendly service as always - these guys fitted my boiler and do the yearly service, wouldn't hesitate to recommend them for heating work. Thanks Annabel! Its great to hear that our friendly approach and great workmanship results in repeat business! Kind Regards South London Heating Team!